Kim grew up in Cleveleys near Blackpool. After finishing school, she attended Art College before beginning a career in the Civil Service, working there for over thirty years. In 2004, Kim and husband Carl bought a picture framing and art gallery business, returning to their artistic and creative roots. Over the 12 years that they ran this together, the business grew and was well known in the area with locals. 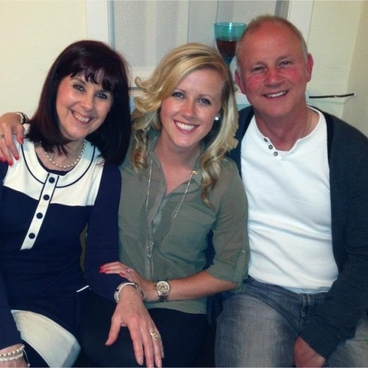 For the family, Kim's diagnosis came as a huge shock. 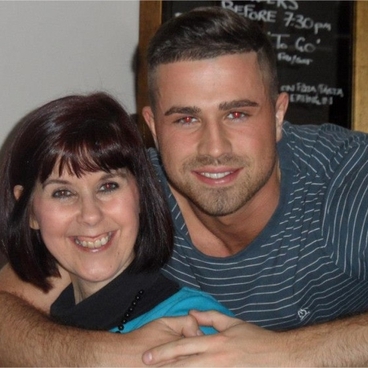 In May 2015, after a blinding headache lasted a few days and some short term memory loss was evident, Kim attended A&E where a scan showed a large brain tumour to the left frontal lobe. Following a craniotomy to remove as much of the tumour as possible, we were dealt the devastating news that it was a Grade 4 Glioblastoma Multiforme, the most aggressive type of brain tumour. Kim followed the conventional 6 week intensive course of radiotherapy and chemotherapy, but due to the severe side effects of the chemo on her blood counts, this had to be stopped early. The first follow up scan in Jan 2016 showed excellent results and barely any tumour remained. This wasn't to last though and in April 2016, the second scan showed that the tumour was back. With no treatment options now available, surgery was the only hope but following the second craniotomy, Kim suffered from severe swelling of the brain. 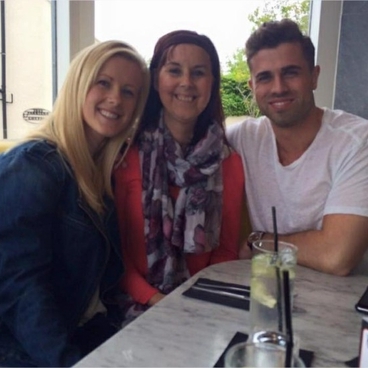 After a month of rehabilitation and improvement, Kim's condition then began to decline and our worst fears were confirmed when a scan in July showed that the tumour was back again. Kim passed away in September 2016 surrounded by family, only 16 months after diagnosis and aged 55. Determined, courageous, kind-hearted, supportive, selfless and loving; these were just some of the attributes of the lady I am both lucky and proud to say was my best friend, confidante, advisor and beautiful Mum. I will never be able to put into words how much my Mum is missed by us. Through this group, we aim to raise essential funds towards research into this cruel condition and also importantly for us, keep my Mum's memory alive. My Mum was the bravest and most inspirational person that I have known. Despite the endless trips to hospitals, hours spent in clinics having transfusions and scans, that famous smile that could light up a room never once slipped. The determination and positivity that my Mum showed throughout made us immensely proud. At Mum's funeral, the chapel was absolutely packed – a true testament to the beautiful soul that she was. Throughout my Mum's illness, it became apparent that very little funding is available for research into brain cancer. Given that it is so life limiting, we are committed to raising vital funds towards this cause. Our first fundraiser is going to be a Coast to Coast Bike Ride that will take place this September. A team of 10 riders including myself, my Dad, brother and amazing friends of my Mum will be cycling from our home town of Cleveleys in Lancashire across to Filey in Yorkshire, a total of 150 miles. Given that some of the riders (Dad) have not cycled for more than 10 years this will be something of a challenge but given the cause, the pain and saddle sore bottoms will all be worth it if we can raise money for something we feel so strongly about. 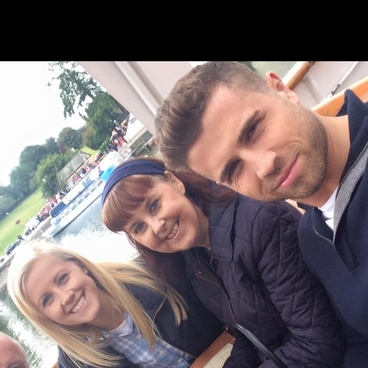 Thank you for taking the time to read our story, we are not the first and certainly won't be the last family to go through this and have our lives shattered by a brain tumour. Together, we can make a difference. Please support us if you can. You can donate to The Kim Smith Fund above or on JustGiving.